'After accepting an invitation by the Ashburton Amenity Society to speak to them on the Ashburton I knew in my youth and early years, I sat one evening quietly and cast my mind back over the years and asked myself, "Was there one word that symbolised those early years as compared with today?" and the word that did come to my mind was Tranquility. Life as I remembered it then was somehow more peaceful and entirely devoid of the speed of the present day life in all its aspects. However, to begin at the beginning; my sister and I were born in the house adjoining what was then known as the Congregational Chapel. Father* was a baker and confectioner and Mother combined the duties of shopkeeper and housewife. Provided my sister and I did not do anything too outrageous, Father was content to let matters be, but Mother was a kind but strict disciplinarian and a mother of the highest integrity. I should perhaps have previously mentioned that I was born in 1893 and my sister a year earlier. When quite young my mother had a serious illness and I well remember that she had to be kept very quiet, and what we then called tan was spread over the road for some distance outside the shop to deaden the sound of horses and horse vehicles. This tan was actually the bark after the tanners had finished with it. In those days of course the horse reigned supreme, to whose existence the veterinary surgeon, the blacksmith, the saddler and the wheelwright were complimentary. I well remember one vet was appropriately named Steer. The saddlers were Mr. Wm. Langler, opposite the town hall and Mr. Eales, whose shop adjoined Lloyds Bank, which was then the Capital and Counties Bank. Mr. Hatch's wheelwright yard and workshop was at Great Bridge. Every part of a cart or wagon had to be made by hand: large hulks of seasoned timber would be reduced to smaller sizes by two men operating a long saw, one standing over the sawpit and the other down in the pit, they worked the saw conjointly. From these smaller pieces the wheels, shafts, and all other parts of the cart or wagon were fashioned. They were craftsmen indeed. The blacksmiths were Mr. French in North Street and Mr. Waldron in Station Road (afterwards named St. Lawrence Lane). In those days the church and the chapels were largely attended, as also were the Sunday schools. The annual church Sunday school treat was always held in the vicarage "lawn" as the present paddock was then named. As may be imagined, great excitement was a prelude to this event. Games, races and general gaiety were followed by an exciting tea, supervised by the teachers and clergy. In the early days to which I am referring, life in Ashburton was rather insular; we were to a certain extent self-contained. We were not all that concerned with the outside world. There was of course no radio news several times a day and naturally no television. The Boer War claimed our interest to a limited extent. After this war when one or two local volunteers returned from South Africa they were met at the railway station and welcomed as heroes. One famous Ashburton son and soldier was General Sir Charles Tucker of the solicitor family, who, up to the time of his death, was the oldest general in the British army. He was noted for his unrestrained language, and when the occasion demanded, swearing! When he returned to Ashburton after the war he was met at the station and drawn by manpower in a carriage to the family home, The Hall, at the head of East Street. The crowd called for a speech and whilst the General replied with a few words a certain man in the crowd interrupted. "Yes, Sir Charles, I was at the Battle of Majuba Hill," to which Sir Charles countered with, "Yes, and a bloody fine mess you made of it!" 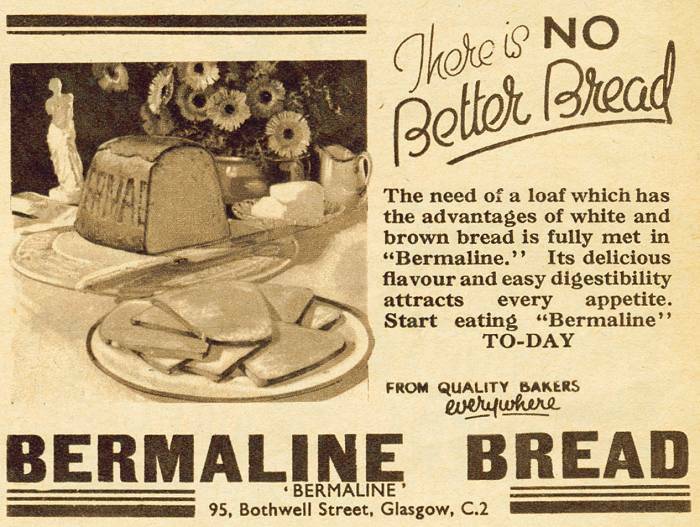 Those who live on Bermaline." Christmas parties at the homes of our friends were certainly highlights in our young lives, and the excitement during the few days leading up to these parties was tremendous. I mentioned earlier that my mother was a strict disciplinarian: here is proof. On the morning of one of these parties I was playing with one or two of my schoolmates at the rear of our premises. It was 'Hide and seek' and I had hidden where I was forbidden ever to go. When my friends could not find me I stood to reveal myself, my foot went through a ceiling and horror!!! I looked down and saw the washstand in my sister's bedroom. I was sent to bed. No party, despite the fact that during the afternoon a few little friends were sent from the party to my mother with the plea, "Please, Mrs Andrews, can Reggie come to the party?" But Mrs Andrews was adamant. To be deprived of a party at that eleventh hour was enough to break any youngster's heart. When there was a parliamentary general election, the town was really divided and strains were often imposed on lifelong friendships when one was a Liberal and the other Tory. They were the only two parties in those early days. At one time in my youth there were seventeen public houses in the town. the present offices of Portreeve and Bailiff and the Juries, Leet and Baron, of course were very much in evidence, as of course their origins derive from Saxon times. The largest employers were John Berry and Sons, the woollen mills owners at Buckfast. Many men and women walked daily to and from Buckfast and worked very long hours. A certain number were also employed at the 'sorting shop' in Kingsbridge Lane.